Last year when the album Elvis Presley Christmas Duets was released, I was enthralled. I even wrote a page about it called, of course, Elvis Presley Christmas Duets. I loved the concept of old familiar songs by Elvis being refreshed by the addition of some of the best female recording artists in country music today. The likes of Martina McBride, Carrie Underwood, Amy Grant and Anne Murray offered up a new take on Elvis' music while honoring it at the same time. Even the videos about the making of this album were pretty powerful. I particularly loved the video which Priscilla Presley hosted about the creation of this album. 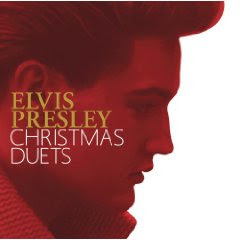 Last year Elvis Presley Christmas Duets reached an amazing number 3 on the U.S. top country music chart. I do think that anyone who loves Elvis and/or country music would really enjoy this Christmas album. Buy Elvis Presley's Christmas Duets from Amazon. Read more about Elvis Presley's Christmas Duets. Watch the Priscilla Presley video.